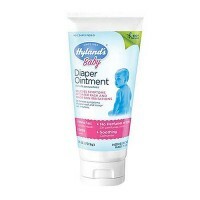 Soothes Sensitive Skin, Soothing Ointment Promotes Healthy, Smooth Skin, Keeping Cherished Little One in Cooling Comfort. 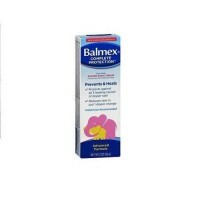 Pamper baby with the incredible ingredients of nature's baby ointment cream. Protect baby's little booty, the gentle, natural way! 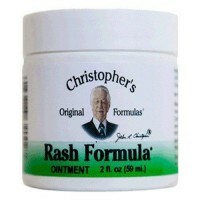 This highly effective organic diaper rash ointment is made with organic sunflower oil, tamanu oil, chickweed oil, olive oil, essential oils no preservatives or synthetic fragrances. 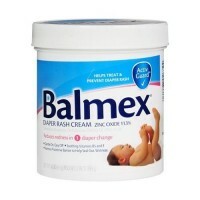 Soothes and heals delicate skin, while preventing future diaper rash. 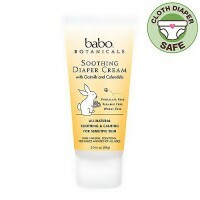 Made from 98% certified organic ingredients, plus castor oil (an excellent urine barrier). Clinically tested, pediatrician recommended; a great diaper ointment treatment for babies with allergies and sensitive skin. Nature's baby soothing rich cream promotes healthy, smooth skin, keeping your cherished little one in cooing comfort. 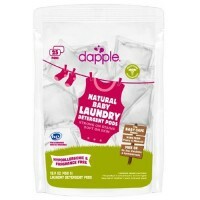 You'll love the way it makes baby feel, naturally. Ricinus communis (castor) seed oil, cera alba (beeswax), helianthus annus (sunflower) seed oil, olea europaea (olive) fruit oil, cocos nucifera (coconut) oil, calophyllum tacamahaca (tamanu) oil, tocopherol (non-GMO), calendula officinalis flower extract, stellaria media (chickweed) extract. As with all bath items, please test on a small area of skin if known to have skin allergies. Keep out of reach of children. For external use only.